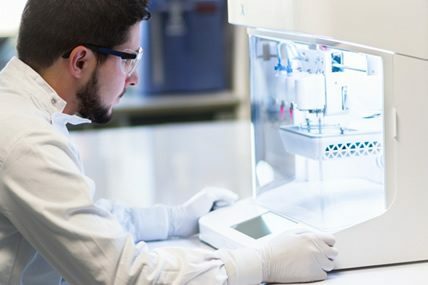 Launched in 2018, 3D-OncoCHIP is a regional partnership using modern 3D printing methods to provide cancer research with increasingly advanced tools. By reducing development costs and stimulating the emergence of new treatments, CTIBiotech contributes to the dynamism of oncology research to help an increasing number of patients. Affecting 3 million people in France, cancer has a major impact in terms of public health (150,000 deaths/year), significant social and personal consequences and an increasing cost to the health system over 16 billion euros. Research into new treatments is a major challenge and a long and expensive process. To reduce development costs, only promising drug candidates should be carried into advanced phases and clinical research. The development of efficient bio-assays, better mimicking the physiological reality, allows this early selection. Associating two innovative 3D-printing techniques combined with cellular models developed by CTIBiotech within the IMODI Consortium, 3D-OncoCHIP produces three-dimensional micro-tumors containing not only the cancer cells but also their micro-environment. With this advance, drug candidates can be tested quickly, at high throughput, on models retaining key properties of the patient tumor and thus allowing highly reproducible studies and providing real understanding in drug sensitivity and cell biology.